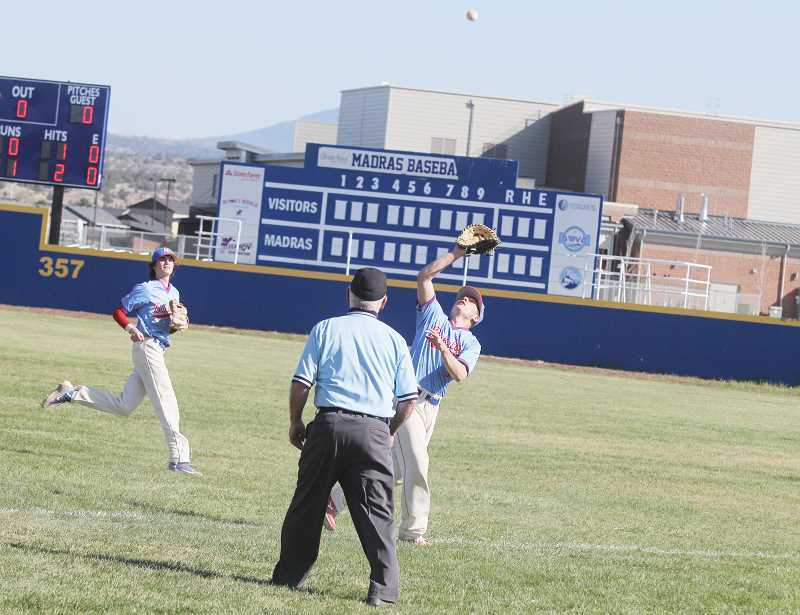 The Madras baseball team was on a roll before meeting Gladstone. The Gladiators are on a 16 game winning streak. Madras baseball lost an away game to Gladstone 7-1, on Friday, May 4. The White Buffalos were only down 3-0 to the league leaders until the fifth inning, when they gave up four runs. Gladstone (17-5 overall, 13-0 TVC) took a big 7-0 lead after five innings, and held on to it to secure a 7-1 victory over the Buffs (14-7 overall, 9-4 TVC). The White Buffalos had their six-game winning streak snapped by the No. 4-ranked Gladstone. The last loss for the Gladiators, who are on a 16-game winning streak, was on March 28. Byron Patt pitched five innings and gave up two earned runs. Cameron Rodriguez secured two hits for the White Buffalos and sophomore Liam White hit in the only run for Madras. The Buffs will battle for the number two spot in league when they face Crook County (13-9, overall, 8-5 TVC), Thursday in Prineville. "Errors were the story of the ball game," said coach Sam McCormick. "We had an error to lead off innings one through three and each of those three runs scored. Patt threw strikes and made the pitches he was supposed to, but unfortunately, our defense could not pick him up. We just need a better approach and not swing at bad pitches," he said. "Here in a couple weeks, our goal is to win playoff games. We are going to play everyone's number one team if we want to do that." "This was kind of a wake-up for us," McCormick said. "We have been playing some good baseball and then we face a good team, make mistakes and get beat. Here in a couple weeks, we want to beat good clubs. It provides us with a little more motivation to work every day." Madras baseball extended their winning streak to six, with a 5-0 win over Estacada on Wednesday, May 2. Kanim Smith took the mound and pitched a complete game, striking out five batters and only allowing five hits. Smith also took care of business when it came to batting, going 2-for-3, with two doubles and two RBIs. In the top of the first inning, Smith crushed the ball to the "402 feet" sign in left field for a double. He later scored the first run of the game on a passed ball. Tyler Lockey got things going in the top of the third inning, hitting a ground ball up the middle. Lockey stole second, putting himself in scoring position for batter Cameron Rodriguez. The ball flew off the barrel of Rodriguez's bat and hit the right field fence on one hop. The senior speedster sprinted all the way to third for a triple. Rodriguez was still on third, with two outs in the inning, when Byron Patt stepped in the batter's box. Patt hit a hard ground ball past shortstop for an RBI base hit, giving the Buffs a 3-0 lead to end the third inning. In the top of the fourth inning, Estacada's batter hit a pop fly to the first base line, than collided with Madras' pitcher Smith. The runner was called out for interference and Smith was down and hurt. After a few minutes, Smith popped back up and continued playing, with another level of ferocity. "I was mad and it drove me to go even harder and put some more gas to it," said Smith. "Our hitting as been pretty good, and our fielding has been good as well, but we can always improve." Sophomore Kody Zemke was walked and Lockey hit Zemke to second, with a ground ball base hit in between first and second. Smith slowly walked up to the plate with extra motivation. Smith delivered with a line drive all the way to center field, hitting nothing but the wood holding the fence together. Smith's hit scored two runs for the Buffs, who took a 5-0 lead at the end of the fourth inning. The White Buffalos were held scoreless the rest of the game and the Rangers had one last inning to try and come back. Smith decided to end the game himself instead. 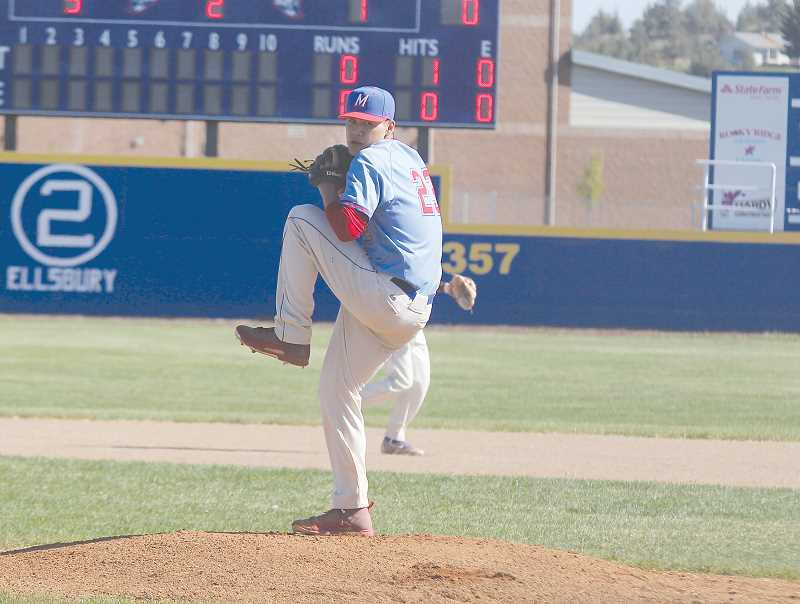 He struck out the first batter, picked off the second batter and then struck out the third batter, securing a 5-0 victory for Madras. "Today was the first clean game we have played in a long, long time and I can see our guys getting better and better," said coach McCormick. "If we just keep getting better, then good things will happen. You play the game right, respect the game, and do the little things, then the game will reward you. That is exactly what they have been doing."